Contact Nancy Milligan at Gallagher surveys to place your survey order. 64 participating organizations in the GMA SHRM membership area. Click here to view the participant list. 174 exempt and non-exempt jobs included. Click here to view the list of jobs from the survey. 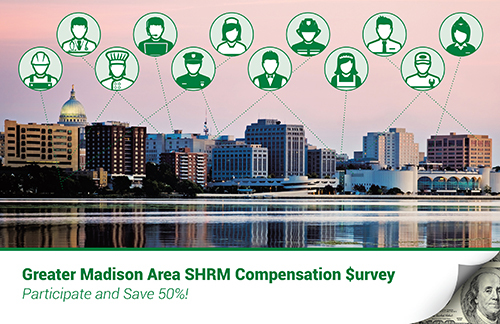 The GMA SHRM Compensation survey includes local data on the following executive jobs: Chief Executive Officer, Chief Operating Officer, Chief Financial Officer, and Chief Information Officer. Within the reporting site, data can be stratified by: All Participants, Type of Industry, Number of FTEs and Type of Ownership (where available). 2015 Compensation Survey is still available for purchase with details and purchasing instructions below. To help bridge the gap in data, QTI has made available these instructions on How to Age Data. Check - access will be sent once check has been received.